First envisioned by the Admiralty as follow-up of the six prototype “26-knotters” ordered in the previous 1892–1893 Estimates. Among certainly the oldest destroyers in service with the Royal Navy, these relatively small ships were barely able to sustain long cruises by bad weather. 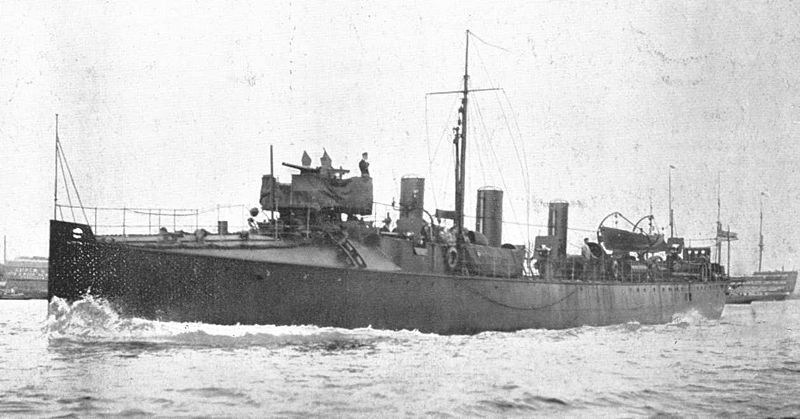 As one of the oldest British destroyers in service in 1914, the survivors of the “27 Knotters” were painted gray, with wireless, new Lewis guns, and sometimes enclosed bridges. 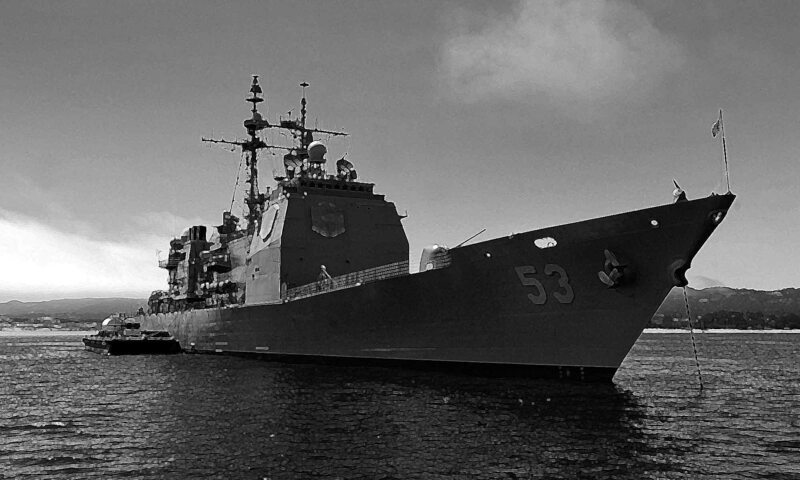 However they showed a typical hull inherited from early destroyers, flush-deck with a tumblehome, and “Turtleback” forward bridge. They were not therefore not well suited for the North Sea, and like the 30 and 33-knotters, were used mainly in coastal squadrons during the conflict. The class as a whole, was originally ordered in 1893, and a total of 36 destroyers spread between 14 different shipyards and associated designs. Nearly half were withdrawn from service in 1910-1911, so that in August 1914 only nine were maintained in service, the other two being the same year moved to the reserve. HMS Daring, 27-knotters in the late 1890s. At that time these ships had a black hull and sand colour superstructures. All differed according to their manufacturer and their displacement ranged from 295 to 365 tonnes fully loaded for 61-62 meters long. Their engine power also varied greatly, from 3600-4800 HP. Their shape also, according to their arrangements of machines and weapons. 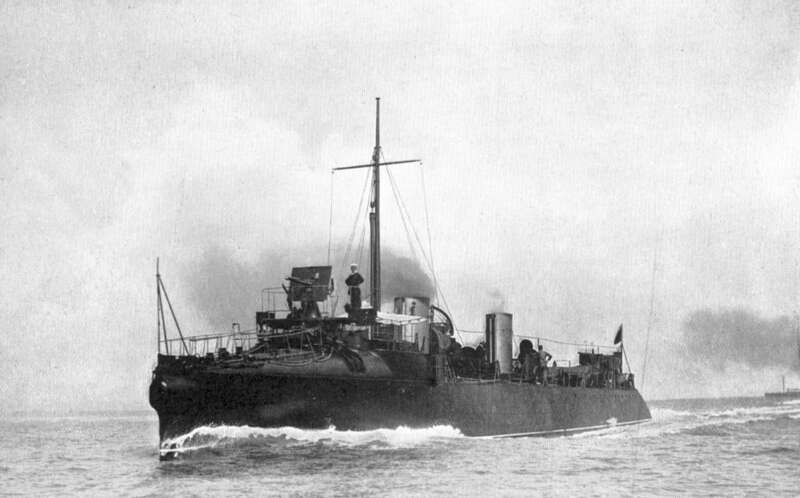 However, they all had triple-expansion machines, except the three ships built by Thornycroft, fitted with a four-cylinder Compound. The only lost in action was HMS Lightning, sunk by mine in 1915. These three units, with the Porcupine and Janus, built by Palmer, were considered the best in the series, the most seaworthy. Armament 1 x76 mm QF, 5 x47 mm QF, 2 x457mm TT (axial). 1/750 Profile of a 27 Knotter torpedo-boat destroyer, HMS Lighting (Laird) in 1915.